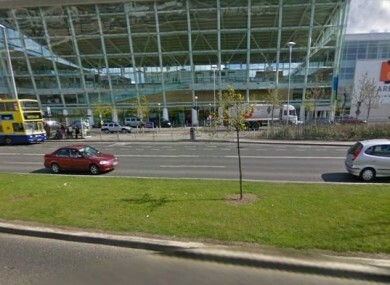 TWO MEN ARE being held this afternoon after being arrested over an armed robbery at a Dublin shopping centre. Armed Gardaí, the Garda dog unit and the Garda helicopter were all involved in the hunt for the men after a cash-in-transit van was held up at Clare Hall shopping centre on the Malahide Road. The robbery happened at around 10.30am when one man threatened a CIT employee with a gun. The culprit fled the scene in a nearby getaway car with the cash box from the van. Shortly afterwards, Gardaí received a call about suspicious behaviour on a nearby road. Two men were arrested at the scene and are currently being held at Coolock Garda station. The cash box and all the money in it was recovered during the search. The gun was also discovered close by. A burnt out car similar to the one used in the robbery was found a short time later. Gardaí have asked anyone who witnessed the robbery to contact Coolock Garda station on 01 666 4200. Email “Two arrested over armed robbery at Dublin shopping centre”. Feedback on “Two arrested over armed robbery at Dublin shopping centre”.